Why should Japanese kids care about a manga set in China’s Warring States Period, (475-221 B.C.)? The players and power struggles are hard enough for professional historians (and this reviewer) to grasp, let alone 10-year-olds. 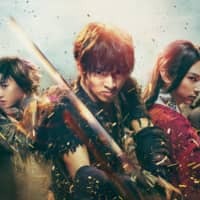 Yasuhisa Hara found a winning answer in “Kingdom,” a manga that, starting in 2006, has sold more than 30 million paperback volumes, spawned an anime series and now a feature film. Like the manga, Shinsuke Sato’s screen adaptation centers on two boys — war orphans who grow up in a peasant village and become inseparable. As young men, Shin (Kento Yamazaki) and Hyou (Ryo Yoshizawa) dream of becoming great generals and uniting the country. Then, one day, soldiers come to the village and take Hyou away to the court of King Eisei, who rules one of the kingdoms contending for mastery of China. Not long after, Hyou returns to the village, fatally wounded. He was, he tells Shin, in the service of King Eisei as a double — and became the victim of an assassin. Grieving and enraged, Shin sets out to get payback for his friend. “Kingdom” is no simple revenge epic, however. Many characters — some real historical figures, some not — make their appearance, all played by Japanese actors. Many battles are fought, both mano-a-mano and army-vs.-army, with the expected heavy fictionalizing, if with an unexpectedly heavy use of realistic swordplay and stunts instead of the now standard fantastical CG and wire work. But the story of Shin remains central. Playing this general-in-the-making, Yamazaki is all burning ambition and rage, reaching for his sword at the slightest provocation. In the process he starts to become an annoying definition of “hothead.” Even Eisei, a cool-minded type who was unfairly ousted from his palace by his sneaky half-brother Seikyou (Kanata Hongo), stirs Shin’s wrath for his lookalike’s fate, though Hyou saw his dangerous job as a career stepping stone, not a death sentence. Even so, Shin and Eisei find common cause, and are soon joined by a host of colorful allies, including You Tan Wa (Masami Nagasawa), a fiery female warrior who leads a despised but fearsome mountain tribe, and Ka Ryou Ten (Kanna Hashimoto), who we first see waddling in a cute bird costume, but who has lethal tricks up her feathers. Holding the key to Shin and Eisei’s triumph or defeat, though, is Ouki (Takao Osawa), a general whose muscular presence and air of supreme confidence first made Shin want to be a leader. 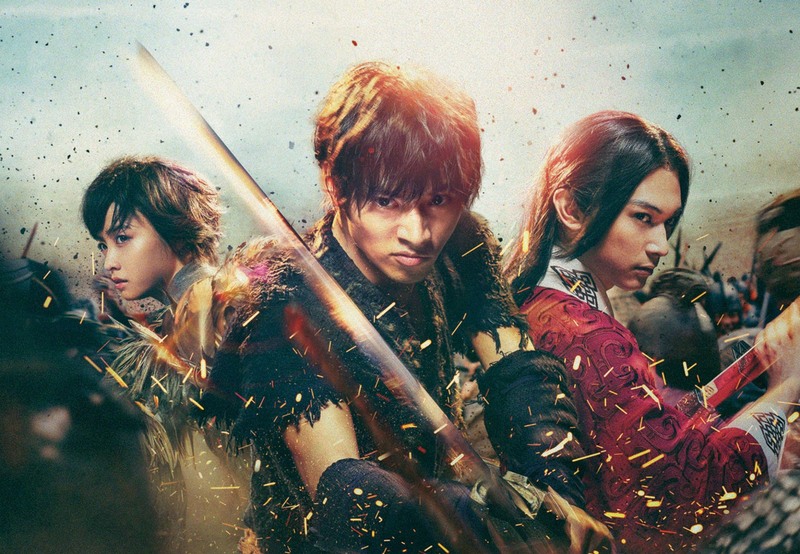 What Chinese viewers make of this Japanized, cartoonish action film based on key figures and events in their history I don’t know: “Kingdom” has not yet been released in China. My guess is that their reaction will resemble that of Japanese viewers to Hollywood samurai films, beginning with puzzlement. What I can say, though, is that Sato, who also directed the sci-fi hits “I Am a Hero” (2016) and “Inuyashiki” (2018), has stepped out of his genre comfort zone with his usual thrill-a-minute dynamism and pace. Unlike the many local historical epics that get bogged down in explanations and melodramatics, “Kingdom” clips along while delivering intricately and imaginatively choreographed action scenes that are fun to watch if not especially deep. Sato is not the second coming of Akira “Seven Samurai” Kurosawa. But then, who is?